Second installment of John Williamson Nevin’s autobiography in audio! awnurmarc » Chapter 2 of John Williamson Nevin’s My Own Life: The Earlier Years – “Four Years of College Life”. 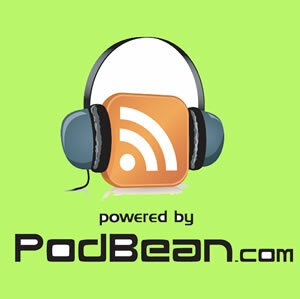 This entry was posted in Podcast on November 17, 2011 by mark. 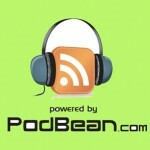 Hey, please change the podcast subscription to http://feeds.feedburner.com/Awnurmarc. Thank you. Note, I just posted the beginning of John Williamson Nevin’s autobiography. This entry was posted in Podcast on November 6, 2011 by mark. Reading Psalm 7 one morning recently, I was struck by the fact that both 3 and 7 are from the story of David fleeing from Jerusalem. That strikes me as odd. There is no other story mentioned in any of the other of the first seven Psalms. Why would the Absalom crisis be the starting point in the Psalter? But I also noticed that Psalm 7 is important for the significance of the term “the righteousness of God” as found in several places in the Bible, not least in Paul’s letter to the Romans. and I will sing praise to the name of the YHWH, the Most High. As I’ve written many times and taught my whole life, God does give us a righteous status in Christ. In Philippians 3.9, we see this using three words: “righteousness from God.” However, in most cases in the NT, when you read the term “the righteousness of God,” you are dealing with a very different term that is only two words: God’s righteousness. When we trust God to save or rescue and even to forgive us according to his promises then we are depending on his righteous character. Paul says over and over again in Romans that the Gospel–the story of the death and resurrection of Jesus as promised by the prophets–publicly demonstrates God’s righteousness. While I’ve shown in my post series on how this is found all over the Psalms and Isaiah, as well as in Paul’s and John’s letters, we see a very direct and compact example of this in Psalm 7. God saves us because he is righteous and we thank him for being righteous. This was why N. T. Wright’s book, What Saint Paul Really Said, was so helpful to me. By pursuing this line of interpretation Romans suddenly made so much more sense. Elijah had come to God and said, “Lord, You promised. I believe this is Your word. It must be so. Let it be so in answer to my prayers.” Daniel’s praying was of the same order as his appeal to the “righteousness” of God eloquently testifies (vv. 7, 16). The Old Testament term “righteousness” has a specifically covenantal orientation. The young Martin Luther could not see this when he struggled to understand what Paul meant by “the righteousness of God” (Rom. 1:17). Of course, Luther was not helped by the fact that his Latin Bible translated Paul’s Greek word dikaiosune (righteousness) as justitia (justice). Luther’s mistake has sometimes been repeated by evangelical Christians. Often righteousness has been thought of merely as the equivalent of the just punishment of God. Preachers therefore may often accompany the use of the phrase “the righteousness of God” with the gesticulation of a clenched fist. It is clear even from this passage, however, that this is to reduce the full biblical meaning of God’s righteousness. Daniel sees the righteousness of God both as the basis for God’s judgment of the people (v. 7) and also as the basis for his own prayer for forgiveness (v. 16). How can this be? In Scripture, “righteousness” basically means “integrity.” Sometimes it is defined as “conformity to a norm.” In the case of God, the norm to which He conforms is His own being and character. He is true to Himself, He always acts in character. God has expressed the norm of His relationship to His people by means of a covenant. He will always be true and faithful to His covenant and the promises enshrined in it. Plainly, God’s righteousness is His faithfulness to His covenant relationship –Sinclair Ferguson, Daniel (Waco, TX: Word Books, 1988). This entry was posted in Podcast, Righteousness of God on September 8, 2011 by mark. I blanked about the Telegraph as the paper Ambrose Evans-Pritchard works for when I recorded the pod cast. Here are his current stories. First go here, and scroll down to March 27, 2004 and download the audio. (I don’t want other people’s audio to post as part of my own podcast). July 22, 2005 – J.D. Cash | ScottHortonShow. November 26, 2005 – J.D. Cash | ScottHortonShow. January 20, 2006 – J.D. Cash | ScottHortonShow. March 4, 2006 – J.D. Cash | ScottHortonShow. July 24, 2009 – Roger Charles | ScottHortonShow. March 31, 2010 – Jesse Trentadue | ScottHortonShow. April 14, 2010 – Roger Charles | ScottHortonShow. August 4, 2010 – James Ridgeway | ScottHortonShow. December 17, 2008 – Roger Charles | ScottHortonShow. March 31, 2010 Jesse Trentadue | ScottHortonShow. May 1, 2010 – David Paul Hammer | ScottHortonShow. October 10, 2010 – Roger Charles | ScottHortonShow. October 26, 2010 – Roger Charles | ScottHortonShow. April 21, 2011 – Jesse Trentadue | ScottHortonShow. Brig Gen Ben Partin Lecture; Oklahoma City / Part 1 of 2 – YouTube. Brig Gen Ben Partin Lecture; Oklahoma City / Part 2 of 2 – YouTube. Read the prologue of this book (available online). This entry was posted in Podcast on September 8, 2011 by mark. I mentioned Eloi and Morlocks without much explanation. And here is the Peter Schiff appearance on Kudlow and Co. that made me think of the analogy with the H. G. Wells scenario. Of course, Schiff’s opponents were accounting for factors that Schiff seems to have underestimated (how will foreign markets do when America’s economy crashes). But Schiff saw what was coming and analyzed the con job that America’s government/banker combine has pulled on the rest of the world via a fiat reserve currency. One minor explanation on many things that I may not have spelled out well enough: “the boy who cried wolf” is not a direct reference to Schiff or North or any other one person, but to the “economy is about to crash” publishing/newsletter industry as a whole. As far as I know, Schiff’s wolf-detector has never been premature. OK, this was the wrong audio file and didn’t download. So I’ll try again. I’m looking for a free site that will let me upload mp3 files and directly link them. This entry was posted in Podcast on September 7, 2011 by mark. This entry was posted in Ephesians, Podcast, Preaching on August 27, 2011 by mark.